Have you ever wondered what it would be like to live in a luxury villa and have staff waiting on you? 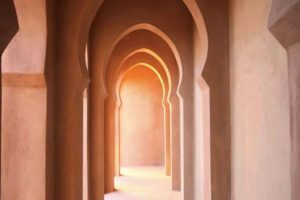 Well in Morocco this can easily be achieved, nearly all of our holiday villas or riads as they are often called in Morocco come with a cook and housekeeper. 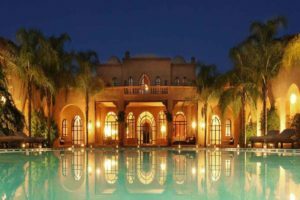 Rent a Moroccan villa for a week or two and it will be a wonderful experience that you will never ever forget. From the moment you step out of the airport into the sunshine you will be looked after, your driver will take you directly to your villa, so you can just sit back, relax and watch the “Hussle and Bussle” going by! Keep an eye out for how many people you can spot on a moped at once! Once at the villa you will be given a tour, your bags taken to your rooms, made welcome and offered a cup of the wonderful fresh mint tea, you will be drinking lots of this during your stay in Marrakech! However you may just wish to dive straight into the private swimming pool which is perfectly understandable! 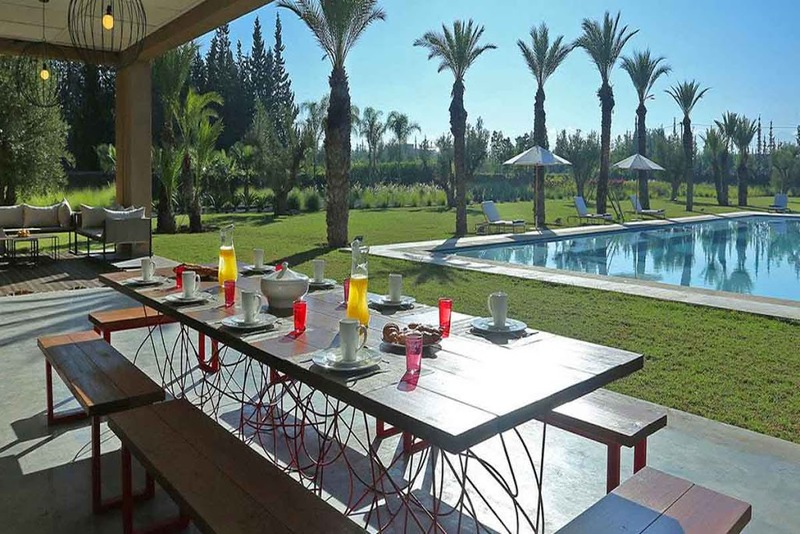 The majority of our Moroccan holiday villas have their own staff, so you will get to enjoy hotel style service whilst having the space and independence the comes from staying in a luxury villa. You will be contacted before your arrival to discuss your culinary requirements, there are various options available depending upon your choice of villa from breakfast to all-inclusive (soft drinks). The new town known as Guiliez is where you will find trendy bars, restaurants and even the odd nightclub, check out the rooftop bars in the large hotels. If you wish to have alcohol in your villa this is fine, however during religious festivals like Ramadan and Eid- al-Adha it would be polite not to ask the staff to serve it to you, of course you are free to help yourself. Alcohol is served in most modern restaurants, and can be bought from the large supermarkets like Carrefour, you can also bring a litre of spirits each into Morocco, should you have a favourite western tipple! The currency in Morocco is Dirham, as it is a closed currency you cannot buy it outside of Morocco, you can exchange Sterling (Bank of England only), Euro or Dollars at the airport, banks and large hotels. Euro is widely accepted although you may not get the best exchange rates! Please ensure you change any Dirhams back into your local currency as the maximum you can leave Morocco with is 1000 (about £80) and the duty free shops at the airport in Marrakech do not accept them! 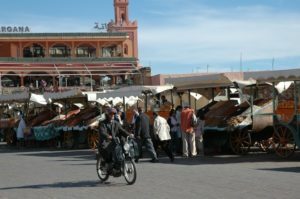 There is no denying that Marrakech does have poor areas which can be a little disheartening, the tourism industry gives a huge boost to the economy and helps these people. If you feel that you have received a good service during your stay in Morocco then please do tip the staff, waiter, driver or whoever has been good to you. Ideally please leave the tip in the local Dirham and not Euro or Sterling coins. 1. 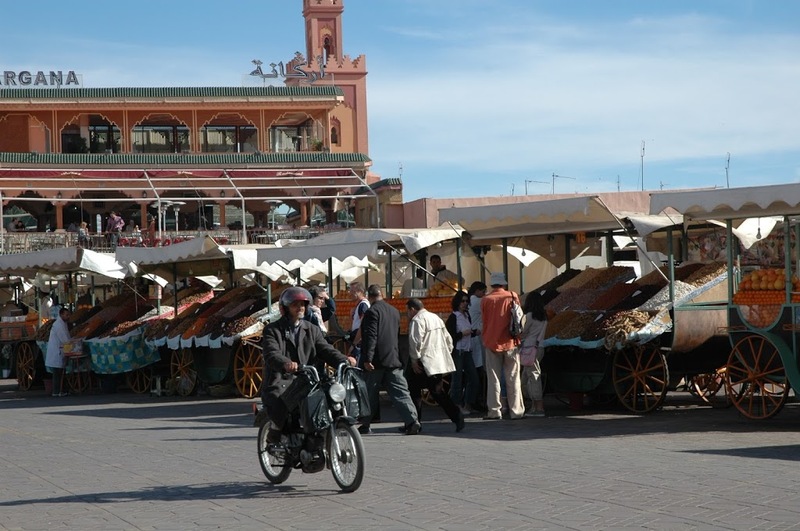 Visit the Souks and grab a bargain. 2. Take a trip into the Atlas mountains. 3. Respect the local cultures. 4. Eat an home-made Moroccan Tagine. 5. Make sure your passport has at least 6 months remaining! 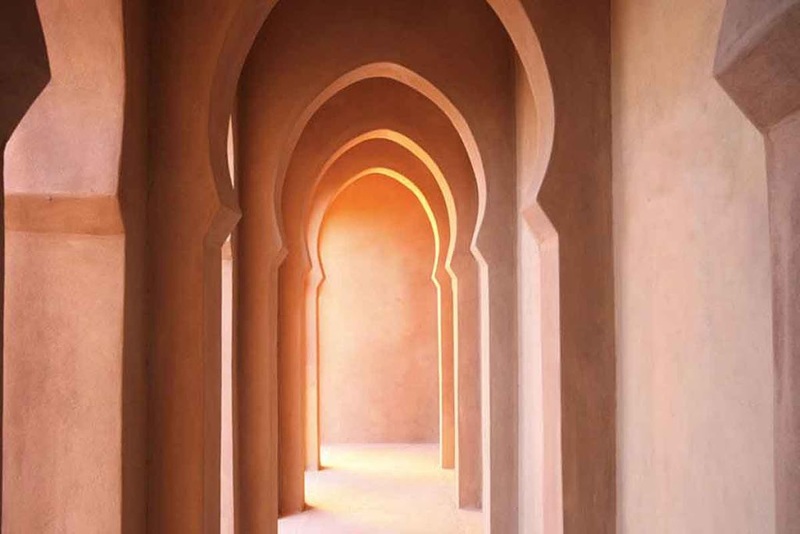 Memories are priceless, Morocco along with its people and traditions will stay in your memories for many many years to come. Contact us for last minute offers and special Christmas deals.